Charles got to come back to visit the Ranch today. It had been a while since he had gotten to come out, but we were able to get him scheduled yesterday. He is becoming quite a good rider. He rode Shiloh. 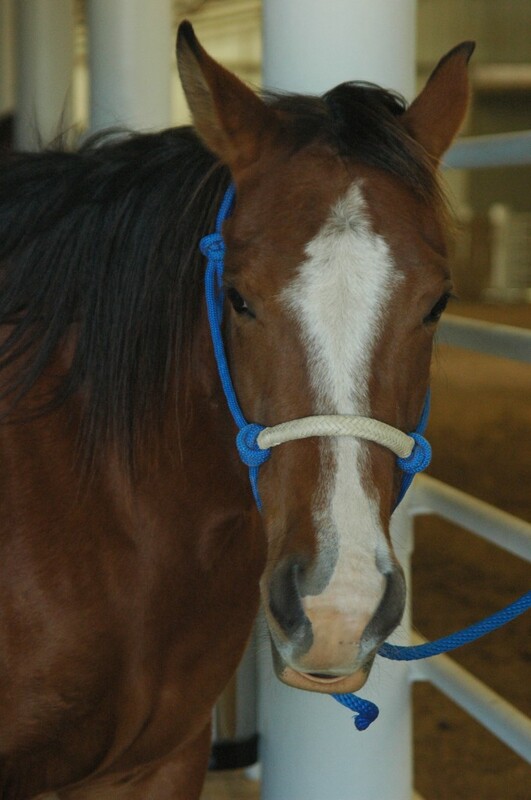 While Shiloh is a very gentle and kind horse, she also has a “lazy” streak about a mile long. She doesn’t enjoy trotting or loping, but that’s what makes her such a good beginner horse. There isn’t much of a chance she’s going to run off with a kid on her. She’s much more likely to just stand still and eat some grass. The flip side of that is that it can be difficult to get her to do much of anything besides stand there when she’s not being walked by someone on the ground. Charles impressed me though with his persistence and drive and got her to listen to him and go where he was wanting her to go. He was even able to get her to trot some! That’s quite an accomplishment for any rider, but especially for a relatively new rider. Charles is really taking to becoming the leader when he is riding, which is exactly what is needed when riding a horse. The rider needs to be the leader, and the horse needs to be the follower. Charles is learning how to be “in charge”. (Sorry to all you out there that don’t get the old TV show reference. Go look up “Charles in Charge” on Google and see what I’m talking about, if you care).